Could Abdul El-Sayed Be The Real Deal? I am limitlessly suspicious of Shiny Young Political Wunderkind types. Frankly, I don’t really trust anyone who runs for political office, and think that the desire to be elected should itself disqualify a person from holding public office. 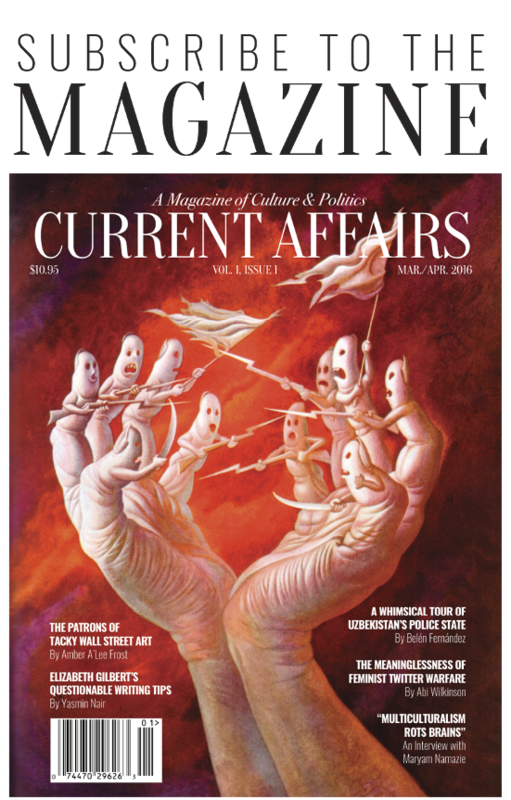 (I prefer the idea of randomly selecting our representatives, so that we’d end up with fewer people who harbor the mad delusion that they are competent to hold power over others.) I’m especially wary of “40 under 40” types with Ivy League backgrounds. If you’ve ascended a long way politically in a very short amount of time, and you have a pile of prestigious degrees and honors, you have probably never (1) annoyed anyone in a position to advance your career (2) spent much time doing anything other than obtaining credentials and climbing the ladder of power or (3) screwed up anything in your life. Those “perfect people” who have done seemingly everything right face a high burden in my eyes: they need to prove that they’re not just motivated by the desire to be in a position of status, but genuinely see political power as a means to an end rather than an end in and of itself. It can be difficult to tell when someone is serious about serving the public, because every politician will always use the same rhetoric. They’re all going to talk about A Future For Our Children and The Values We Hold Dear. Change will be promised. The problems we face are bad, but together we can solve them! How can you tell whether any of it actually means anything? Does it ever? It’s tempting to become completely cynical, in part thanks to Barack Obama, whose stirring and lofty rhetoric came to seem manipulative and hollow. Yet I think giving in to cynicism entirely is deeply unwise: in doing so, we might not give a chance to someone who has genuine principled commitments. Abdul El-Sayed is running to be the Governor of Michigan, and he is so accomplished that he sets off every one of my alarm bells. He is a 33-year-old former college athlete. He is a Rhodes Scholar with a PhD in Public Health and an MD from Columbia, who has authored over 100 academic articles. He has been on a “40 Under 40” list. 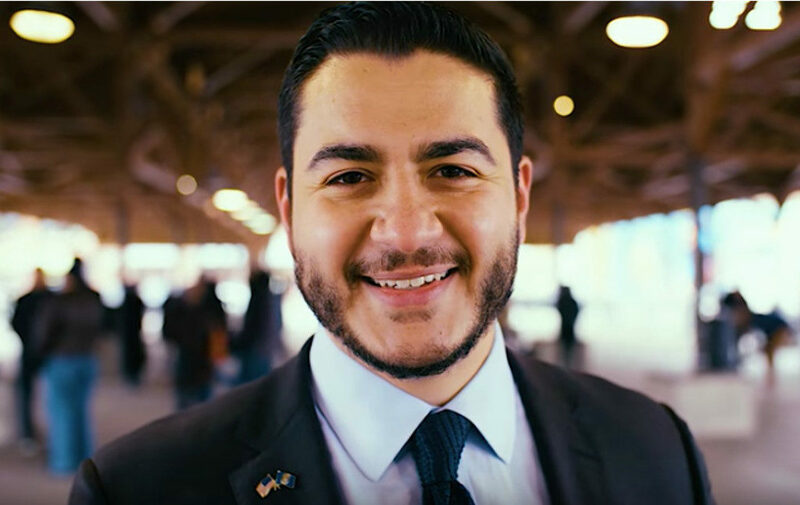 As the child of immigrants, with an impressive speaking presence, El-Sayed has quickly been compared to Barack Obama (even by former Obama speechwriter Jon Favreau). Worse, he talks about healing divides, a politics of hope, etc. He is charismatic and handsome, with a wholesome, all-American family, and you should never trust charismatic handsome people with wholesome, all-American families. The reason not to is obvious: politics shouldn’t be a test to see who has the most inspiring personal story or who can say the phrase “fulfill the promise of this great country” the most times in a single speech. It shouldn’t be a résumé-measuring contest. The more it becomes about personality, the less it will focus on policies and practices, when those are the things that actually affect human lives. Who you are should matter much less than what you intend to do, and one reason the Democratic Party is hemorrhaging support is that it has prioritized personality and “competence” over, say, actually putting forth an ambitious agenda for addressing social problems. Be careful with candidates who look sharp and sound good, because those qualities may cause us to overlook the fact that they haven’t actually made any commitments to accomplishing anything tangible. Instead, we need to ask about their principles and their agendas, and check whether their actions so far offer convincing evidence that they will carry out those principles and pursue those agendas. How, then, does Abdul El-Sayed look when one examines what he stands for, what he’s saying he’ll do? Well, here’s the shocking thing: he actually seems to have a bold and substantive progressive agenda. He’s got plans and they’re… really very good. Have a look at the “issues” section of his website. El-Sayed lays out 20 core issues, and then goes into more detail on some specific subject areas. #1 on the list is inequality. This is a good start: one of the most serious failings of the Democratic Party up until now has been a lack of commitment to taking inequality seriously. El-Sayed puts it front and center. #2? Raising the minimum wage to $15 an hour. He’s fully on board with the Fight For 15, and not just as a second thought, but as a basic, core issue, the way it should be. El-Sayed has committed himself to the core parts of the “Sanders left” policy agenda. It’s progressivism without apology: he doesn’t say “decriminalize,” he says “legalize,” and he doesn’t say “ensure accountability,” he says “end the profit motive.” Instead of accepting the bipartisan dogma that Business Experience is a good thing in politics, he says: “I’ve never run a business, but let me tell you, I have stood up to them.” It’s blunt and it’s refreshing. It isn’t a bunch of vacuous waffle, with words that could be stretched to mean anything. He names a particular pipeline he’s going to shut down. He promises to repeal Michigan’s “Right-to-Work” legislation. One thing I find encouraging about El-Sayed is that he combines the moral force of Sanders’ principles (e.g. “healthcare should be a right”) with the kind of technical expertise (often dismissed as “wonkishness”) that is necessary to actually get things done. Even though he’s promising a lot, it doesn’t feel as if he’s just issuing bold and fantastical claims about the government’s ability to solve all problems. He is a moral idealist and a policy realist, a pragmatic utopian, which is the exact combination you need. Look at his record of academic scholarship. It’s technical, but very little of it is obscure or esoteric: it’s serious empirical analysis of public health problems, why they occur and which ways of addressing them are effective. He has studied suicide, medical student debt, racial disparities in treatment, genetics research, childhood obesity, infant mortality, and epidemiology. He has studied them from every different angle across a number of countries, as well as in Michigan. When Abdul El-Sayed says he knows how to do single-payer at the state level, he probably knows what he is talking about. When he took over, he was walking into a city agency that had been privatized, had only five full-time employees, was spending just $1.50 per capita (New York City, in contrast, spends 100 times as much), and was such an afterthought it was tucked in the back of a rundown building where Detroiters paid their parking tickets. He started with tangible things. One of his biggest early victories was starting a program where students could get vision screenings and free glasses on-site at their public schools. The story of Flint broke and he tested every school in the district for lead. Later, he aimed bigger: When Marathon, whose refinery in southwest Detroit is one of the biggest polluters in the city, applied for a permit to increase its sulfur dioxide emissions, he got the mayor to publicly threaten to sue the state over the issue. El-Sayed personally negotiated a compromise in which the company agreed to cut emissions and invest $10 million in new pollution controls. He wasn’t always so successful persuading [Detroit Mayor Mike] Duggan: He notably butted heads with the mayor over the city’s refusal to end water shutoffs for residents who couldn’t afford to pay their bills. El-Sayed even started feeding information to the activists working on the issue, using his expertise as an epidemiologist to help them make the public health case. The mayor didn’t appreciate it. El-Sayed says he was told to cool it or they’d freeze the rest of the work he was doing. It’s still a sore spot, which seems to have been the genesis of the rivalry the two are nurturing today. This is what you want in a public official. El-Sayed focused on tangible and achievable objectives, like giving kids free glasses. (Note: not “discounted.” Free.) He pushed Mike Duggan to be more aggressive against polluters. And though Duggan had originally appointed El-Sayed, El-Sayed did not hesitate to take on his boss when something important was at stake, siding with the activists over his patron. A key question, when trying to figure out whether a politician will side with expediency or principle when the time comes, is whether they have ever fought for something when compromising would have been easier. Most of the time, the answer is no. (Bill Clinton, for example, has never taken a serious political risk in his career, always choosing self-preservation over moral necessity.) El-Sayed has at least shown that he won’t always play nice. Yet in his personal approach to dealing with voters, El-Sayed is apparently very nice indeed. A friend of mine who saw him speak to a small group says he radiated kindness and warmth, and had a powerful ability to connect with people. 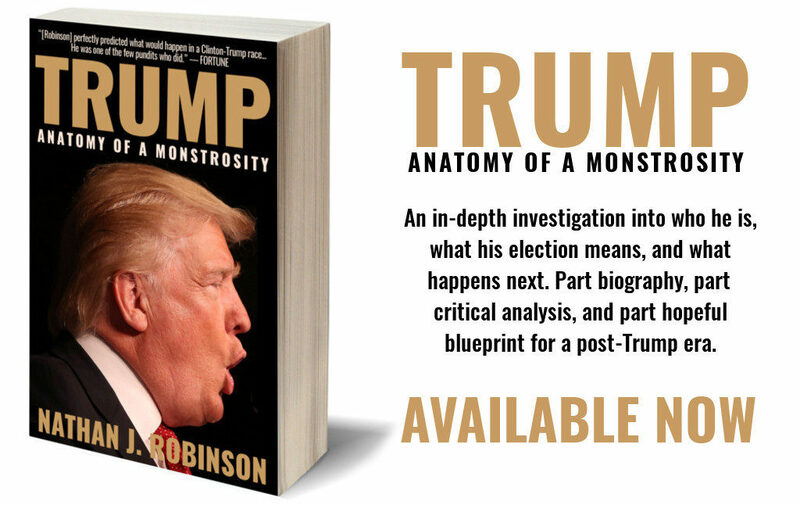 While I have never attended one of his events, multiple journalistic accounts suggest that he has a spellbinding effect on audiences, with people “blown away” by his speeches. They go in skeptics, they come out converts, even though only a minority of the voters El-Sayed is talking to are likely to share his staunchly leftist agenda. “The vote for Trump was not a vote for hope or a vote of inspiration, it was a vote of cynicism and frustration with the status quo,” El-Sayed said while riding in the campaign’s Ford Explorer to knock on more doors. Later, in a separate interview, El-Sayed noted that he has family who voted for Trump. “They didn’t vote for Trump because of some animus for Muslims, they voted for Donald Trump because they felt that he was at least speaking to an experience that they faced. For a lot of people they’ve been told that, statistically, our economy has gotten better, it’s recovered. But actually, if you look at over the past 10 years, you’ve seen this increase in corporate profits, the stagnation in labor participation and an overall decline in wages. And that speaks to peoples’ real experiences.” It’s a somewhat counterintuitive strategy: validate the underlying reason voters picked Trump, but critique their choice. Politico is wrong, of course, that this is a “counterintuitive strategy.” We might be surprised that El-Sayed could so readily dismiss the idea of an “animus for Muslims,” but as a strategy it makes perfect sense. It is the approach Bernie Sanders has taken, and it has the twin virtues of (1) not alienating a huge swath of the populace by writing them off as irredeemable deplorables and (2) being mostly correct. This “I understand your feelings but let me show you the real source of your problems” technique, interestingly enough, means that even with his left economic and social agenda El-Sayed will probably stand a far better chance at winning over a room full of Trump supporters than would a member of the Democratic elite, who have shown nothing but contempt for these people. (Note, too, that he is not running by criticizing Trump and the right but by presenting his own clear alternative.) El-Sayed is constantly emphasizing what is shared and universal among people, even as he pushes proposals like single-payer and free college that are still far from agreed-upon positions. This is what should make progressives so heartened by El-Sayed: he can connect with people very different from himself, without having to back down on or hide his values. He’s got the human touch that Obama had, but while Obama achieved consensus by using platitudes so empty that nobody could disagree, El-Sayed does it by being genuine and up-front about where he stands. He tells his story, and his story is a good one. But importantly, he is more than a story: he can tell people what he wants to do to improve their lives, and how he’s going to do it. He can tell them in more depth than almost anybody else can, and he can tell them no matter who they are or who they voted for in 2016. But I’m not above getting inspired by likable people with good politics, and it’s possible that El-Sayed is exactly what we need. The political world is full of poseurs and charlatans, and it can be impossible to tell the people who are genuine from the people who have spent a lifetime figuring out how to convincingly seem genuine. It’s far too early in Abdul El-Sayed’s career for us to render a conclusive verdict on his character. But I have a small suspicion, and a hope, that he just might be the real deal.